26 page full colour comic created by Gavin Boyle. Features art from Steven Hill and Rob Douse. 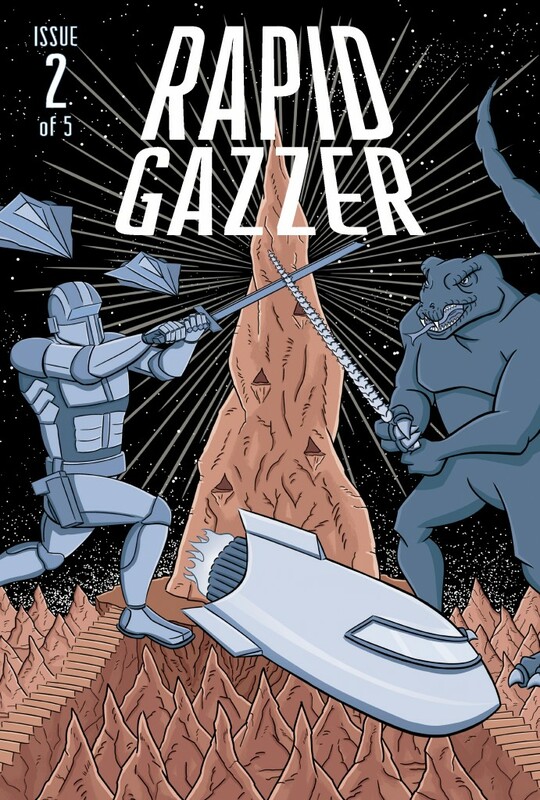 Our unfortunate hero, Gazzer, avoided being beaten up by a gang of neds only to be abducted and taken to Mars. With the help of a priest and glamour model, Gazzer managed to escape. While searching for a way back to Earth the group come face to face with Lord Veset, an evil intergalactic entrepreneur who claims to have discovered “eternal life”.